Gleneagles, Scotland, UK; 10 August, 2018. Day three of European Championships 2018 competition at Gleneagles. Men's and Women's Team Championships Round Robin Group Stage. Four Ball Match Play format. 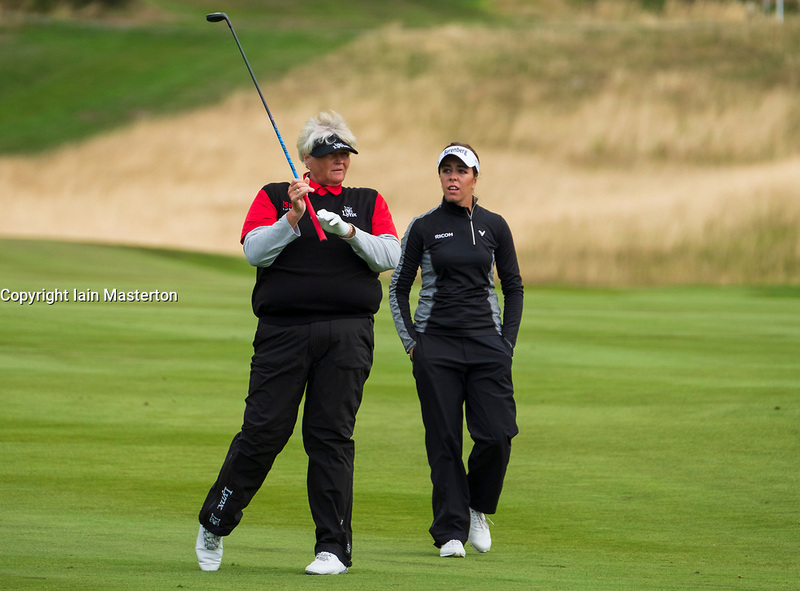 Pictured; Great Britain;'s Georgia Hall and Laura Davies on the 2nd hole in match against Belgium.